Night vision rifle scopes are an expensive category. The tech only trickled down from military-only use a few years ago, and building a scope isn’t cheap. These past year or two, however, there’s an influx of manufacturers that manage to create incredibly good options that actually don’t break the bank. Coming across one that’s worth it, though, isn’t that simple. Many of them will claim to be a budget option, and don’t really do much in terms of what you need a night scope to do. However, that is not the case with the Sightmark Photon RT 4.5-9x42S. 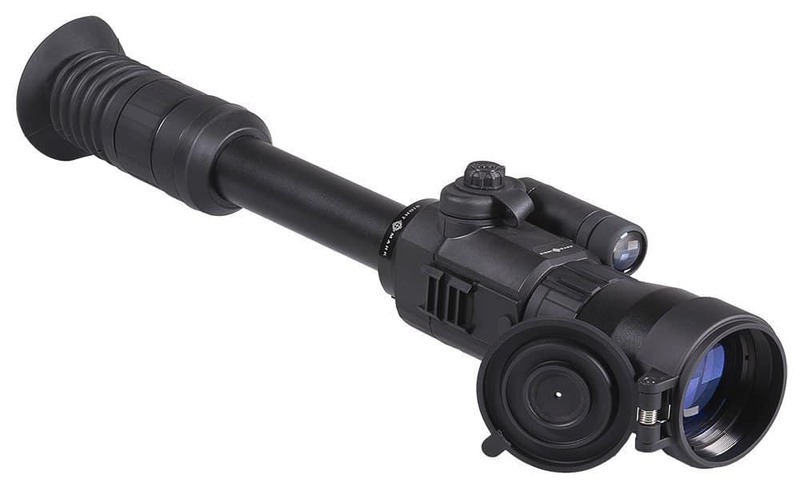 It made it on our list of best night vision scopes, and there is more than one reason for that. 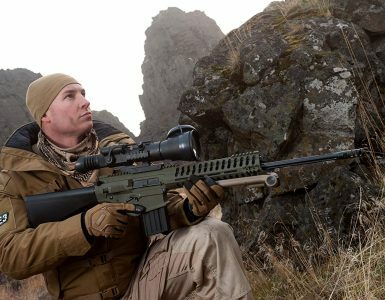 If you’re in need of a versatile scope that won’t break the bank, you might want to read on. What is the Photon RT? Simply put, it’s the successor to the much appraised Photon XT. The XT was a great midrange option to begin with, but it had a couple of things that it was missing. The RT improves on those, and it also adds a few more other things that you’ll be glad to find here. First of all, the magnification factor. It’s a zoom scope, and you can choose from 4.5x, to 9x, with stepped zoom. This gives you the field of view you want, and you can customize it depending on the specific situation. You won’t find this in many scopes, and it’s more useful than you might think. The video feature is also upgraded. Previously, you had video output, but now you have 8GB of memory built right in the scope. You can use those to save your footage. Or, you could go with the Stream Vision app, and stream your footage in real time on YouTube or other services. That same app also lets you save your photos and videos on your phone as well. When you want to save your footage on your computer, there is a built -in micro USB port. That footage will look very good too, because you have an upgraded CMOS sensor which has a 40% higher resolution than the Photon XT. 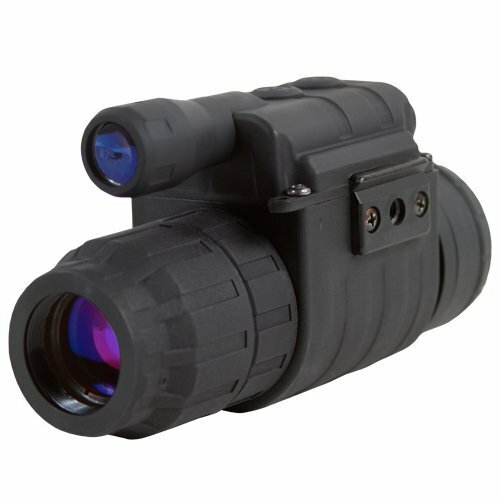 The built-in 850nm IR illuminator will let you target up to 220 yards in absolute darkness, and it works admirably. You get 6 reticle options as well as 4 different colors, which is plenty for just about any situation. Customize it just how you want it, and according to the environment. Another welcome addition is the one-shot zeroing function, which saves you quite some time and only requires one shot for any adjustments necessary. Unlike a lot of budget options, it actually works very good with the Photon RT. Sightmark don’t disappoint in terms of build quality, and that’s exactly the case with the Photon RT. You get a shockproof body which is IP55 water resistant, plenty for any rain that you might get caught out in. The shock resistance will protect it in case you accidentally hit it against something, which actually happens more often during night outings. If you want to attach any external accessories, you have an additional Weaver rail. That USB port we mentioned above? You can also use it for attaching a power bank to it, which should extend your battery life significantly. If you’d rather carry regular batteries, you’ll be happy to know that the Photon RT has a quick change battery pack, which lets you swap them out in an instant. You no longer have to waste time on this. Battery life has been stellar, with around 3 and a half hours while using the IR illuminator. If you don’t use it, this should be a bit longer. Sure, you can just put a ton of features in a scope and call it a day. But if you want it to sell, you’ll need those features to work, and they do just that with the Photon RT. The picture is clear and not distorted at all on any of the zoom levels, and you can clearly distinguish details at 220 yards. 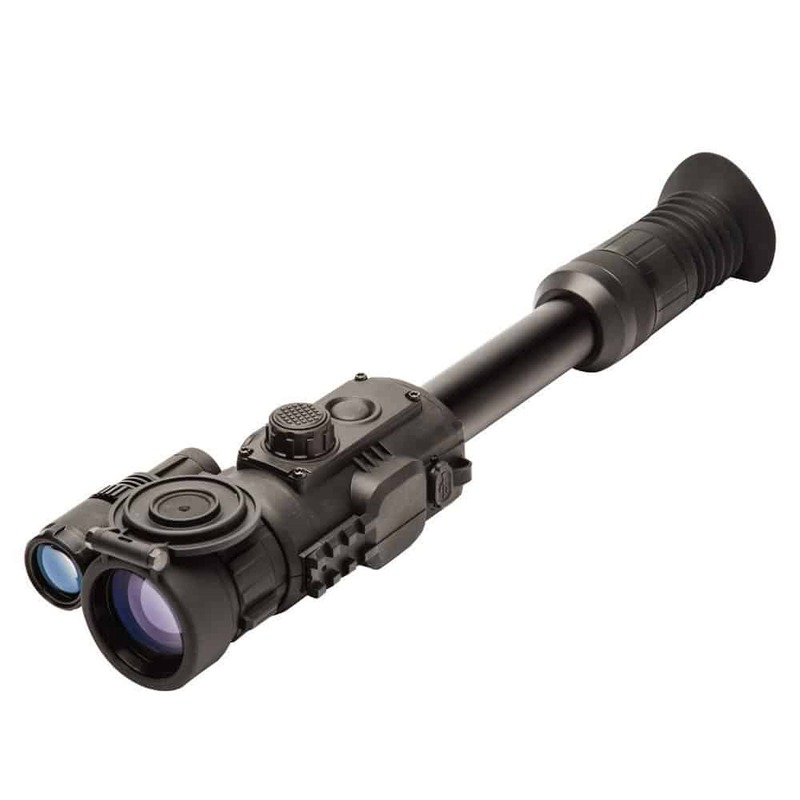 The Photon RT is also a scope that you can use by day, as it is built in such a way that you don’t damage the night vision system and optics when using it in daylight. At the end of the day, it all depends on what you need from a scope. If you want it to have a crazy high-end recording system, as well as ballistics calculators, dual-stream, recoil activated video, and not use much battery while doing all those things, you’ll actually need to spend a bit more money. There are scopes that do just that, you’ll find some of them here, but the Photon RT isn’t meant to fight them. Instead, it’s meant to battle in a category which was an easy win some time ago, but there is a lot of competition nowadays. The budget offerings are too much to count, and that’s beginning to be the case with the midrange the Photon belongs in. It is actually still better than most of that competition, because it offers a specific feature set that works admirably in a variety of conditions, and you can be sure it won’t let you down. You don’t have to worry about accidentally hitting it into a tree or spilling water on it, you don’t have to worry about battery running out, or you not being able to see something because it’s further than 100 yards out. These are all things that matter to anyone who’s serious about their night hunting game. If you don’t want to spend thousands of dollars on a high-end scope which may, or may not have all the features of the Photon RT, you should definitely give it a chance. You will very likely be surprised at all the things it does!